Small to large orders are precision manufactured locally for fast delivery. Structure Lock supplies steel braces that are stronger, safer and seismically superior to wood cross bridging or blocking. We build our products using 18 gauge galvanized steel designed to interlock dimensional joists and engineered I-joists of all sizes and spacing. All Structure Lock products are the highest quality available to meet and exceed mandatory framing requirements under local building codes. 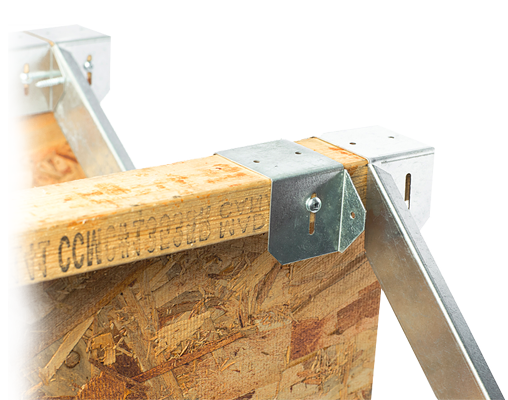 Learn how fast, easy and simple it is to install all of our bracing products. Quick access to our standardized product order form and our custom order form. Take time to explore our interactive gallery of pictures and videos.